Cengage Learning is one of the leading educational content, technology and service provider company for higher education and K-12. They also provide eBooks, textbooks and other educational content to many libraries across the United States. CengageBrain.com is a subsidiary of Cengage Learning, CengageBrain.com offers a wide range of textbooks, eBooks, eChapters, digital solutions, study tools and textbook rentals. This is really a life-saver for any student who wants to save money on books! You should totally check out the latest Cengage brain coupons to get discounts on your purchases! CengageBrain.com now sells over 35,000 print and digital study tools, as well as online homework solutions such as MindTap, Aplia, CNOW, and OWL. Even some of those tools also have quizzes, flashcards, glossaries and much more! Do I have to wait until I get the book? CengageBrain.com offers 2 weeks of free eBook access if you buy or rent any of their print texts. So, you can get immediate access to the course you’re looking for as soon as you buy or rent one of their print texts, which means you don’t have to wait for the mailman! Of course, you can always opt out if you didn’t want any access to the eBook. 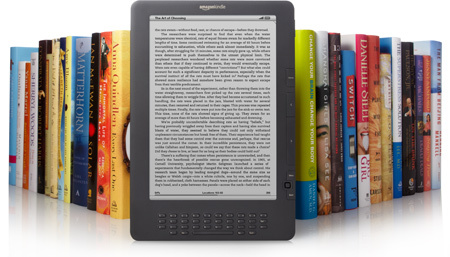 How do I access my free eBook? After completing your purchase, navigate to your “My Home” dashboard, in which you’ll see the eBook listed. Remember that the eBook will be no longer listed after the 2 weeks, and if there is no eBook available for the book you’ve purchased, you cannot get a free eBook on your purchase. MindTap is a digital learning solution that helps students get better grades using dynamic assignments and dynamic applications. Unlike the traditional methods of learning, MindTap offers an interactive way for students to learn and remember effectively. MindTap helps students remember by asking them questions about the applications of the topics they’ve learned, which improves your grades significantly. Over 74% of the MindTap users are very satisfied with their results. You can also take note of important things, and personalize your MindTap experience. The specialized MindTap applications and the workflow process ensures efficient and effective learning experience. Can I get a discount on my purchases? You can get a 6 USD discount on purchases of over 60 USD using an Extra Credit coupon. Every time you use the Extra Credit coupon, CengageBrain.com donates a dollar to a charity. You can always find valid discount codes to save the most out of your CengageBrain.com orders. Do I get any free content? Yes, many of the books come with Free Materials, you can access the free content after you purchase the book using the Free Content Search on CengageBrain.com, all you have to do is enter your Book’s ISBN and hit Go! Remember that not all titles come with free content and the amount of free content may vary depending upon the title is accompanied by a companion website or the CengageBrain’sCourseMate. CengageBrain offers free delivery for all purchases over 25 USD, excluding digital and rental purchases. The free shipping takes about 2 – 7 business days for the delivery. They also offer a standard shipping which costs 3.99 USD and takes the same amount of time as free shipping, orders placed through standard shipping are delivered by UPS Ground. The fastest shipping method is the express shipping which costs 9.99 USD and it only takes 2 business days for the delivery. How do I get discounts on my purchases? 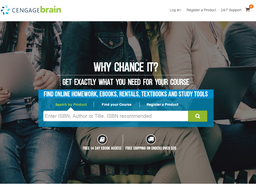 Make sure that you frequently check our website to know information about the latest discounts and Cengage brain coupons for CengageBrain.com! We always update our database very often, so that our users save the most of their purchases, every time! @LegendBwar @couponfollow Hi Brandon, If you'll direct message us, we'd be happy to review. @girlonfire86 @couponfollow Hi Jenelle. Sorry but we do not have any coupon codes available at this time? @guerrerojenny00 @couponfollow Hi Jennifer, we don't have any coupons going on at the moment.